In the past I’ve talked about the structure of the classic scientific articles, but there are other types of scholarly, peer-reviewed scientific articles. One of those is the protocol papers. Because one of the hallmarks of the scientific method is repeatability, knowing how experiments are performed, or the protocol, is important so that other researcher can confirm results or perform similar experiments. Protocol papers focus on the method of the experiment, and there journals that are dedicated to publishing only protocol papers. One of these journals is the Journal of Visualized Experiments (JoVE). But JoVE is not your typical journal but is one of the more unique “journals” that we have at the library as all it’s articles are actually videos. Sometimes it’s hard to visualize and learn how to do something from written documentation (“insert at a 45° angle”—45° from what??) or even from pictorial documentation (have you ever tried to put together IKEA furniture?). 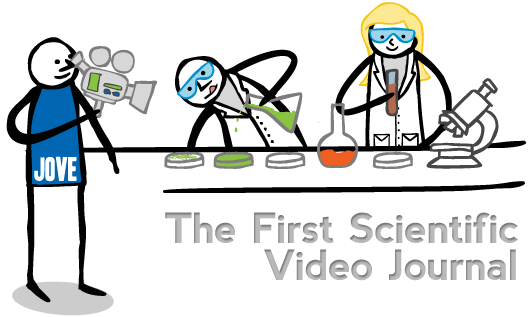 JoVE’s solution to this problem is film the researchers as they actually perform the procedure. The videoarticles (is that a word? Maybe I’ll coin the word varticles) have a written description including an abstract, introduction, the protocol, representative results, discussion, and references. The accompanying videos are usually between 5-10 minutes long and include narration and chapter markers in case you want to skip to a section or repeat a section. The varticles are all peer-reviewed as they are in traditional journals and are indexed in databases such as PubMed, SciFinder, and Scopus. The journal even has an impact factor. JoVE actually has two parts to it: research articles (which I describe here) and educational videos. Baylor subscribes to Behavior, Biology, Chemistry, Engineering, Environmental Science, and Neuroscience, sections of the research articles. I’ll talk about the education videos in my next post. Christina Chan-Park is currently the Science Librarian at Baylor University. She received her PhD in Geophysics from the University of British Columbia, MS in Information Science from the University of North Texas along with a Graduate Academic Certificate in Digital Curation and Data Management, MPA from the University of Houston, MS in Geophysics from Stanford University, and AB in Geology from Princeton University. She was previously a Visiting Assistant Professor and Program Director at the University of Houston a post-doctoral researcher at The Ohio State University. Like most librarians, she enjoys reading. But more than anything else she enjoys seeing other people succeed and helping them achieve their goals. « What is Digital Scholarship?